January 1st, 2016’s New Year’s Address from Kim Jong Un given a couple of weeks perspective has of course been supplanted somewhat by the phenomenal challenge and narrative bluster of the 6th’s nuclear test. Whether the core material of the device tested by Pyongyang at Punggye-ri was made of Uranium or Lithium, its success or failure and the geopolitical impact of it all will no doubt be discussed and dissected for some time. It is doubtful that the same fate will befall Kim Jong Un’s longer statement of North Korea’s intentions for the coming year. While North Korea’s New Year’s Addresses under Kim Jong Un have generally followed a familiar pattern and are full of the linguistic repetition and bluster familiar to any who follow its media or published output, occasionally an interesting developmental phrase can be turned. The demand of 2015’s New Years’ Address to generate mountains and “seas of gold” so far as its fisheries and forestry sectors were concerned was a particular favourite of this author. 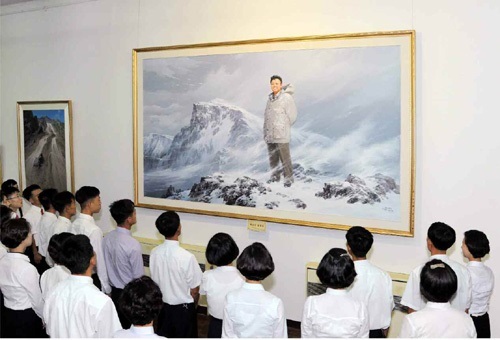 Equally 2015’s favoured revolutionary speed “the blizzards of Paektu” speed, brought to mind the charismatic and theatric struggles of Pyongyang’s guerrilla nationalism in an easier, more piquant and less clumsy linguistic form. The extraordinary focus on fishing institutions and infrastructures in the second half of 2014 of course will remind any reader of the real connections between North Korea’s set pieces of narrative and message production and its institutional and developmental agendas. 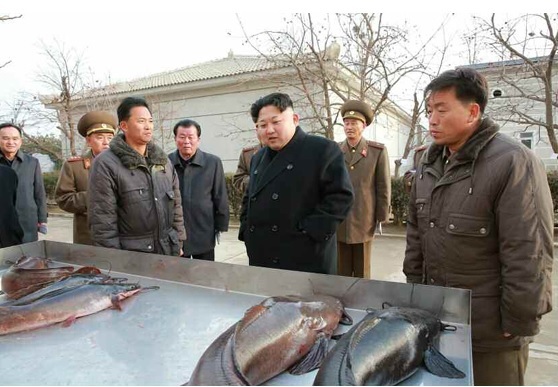 Kim Jong Un in fact made five visits to offshore and onshore facilities devoted to aquaculture in the months of October and November, 2015 combined, a schedule of institutional activity surely not that far removed from visits to military installations. 2016’s Address from a week or so ago however is not blessed with quite the same level of articulacy so far as development is concerned. For the reader it may in fact be that the non-military, developmental aspect to 2016’s New Years Address is very hard to discern at all. Kim Jong Un this year and presumably North Korea’s institutions appear very concerned to memorialise the events of the 70th anniversary of Liberation on August 15th and the institutional and governmental achievements that were underwritten by the events memorial themes of acute nationalism and imagined victory. The Address in a sense then undertakes an exercise in charismatic projection, using the carrier signal of Liberation’s authority and legitimacy to underpin the importance and potential of May’s coming Seventh Workers Party of Korea Congress. In this way the Address allows the charisma of the revolutionary and pre-institutional past to potentially be revivified in the institutional present of the Workers Party of Korea. Obviously the reader will discern no developmental or environmental impact within this political sleight of hand, a form of which will be familiar to any considered analyst of North Korean ideological or presentational practice. We all would do well however to consider for a moment the past history of Congresses of the Workers Party of Korea, especially the last such event, which concluded its Plenary sessions on the 14th of October, 1980, some 36 years and a political epoch ago. Bearing in mind the fact that North Korean Party Congresses are more than the public set piece event we might be familiar with from meetings of the People’s Republic of China’s People’s Political Consultative Conference, or in fact from modern Party Congresses or Conferences in democratic nations such as the United States or United Kingdom. Congresses of the Workers Party of Korea are in fact multi stranded, yearlong events, which yes, emerge above the political surface for a week of plenary and public sessions, but which then submerge again into the political and institutional substrata. Deeper down in the lower levels of committee and subcommittee the articulations and aspirations expressed at large and out loud in the public events are reconfigured and reframed for institutional and developmental function and incorporation. North Korea’s political and elite and no doubt in May, Kim Jong Un’s grand and dramatic words will be incorporated into institutional and infrastructural agendas that could well drive its frameworks for years or decades to come. How do we know this? Because that was precisely, when it came to development the role played by the Sixth Party Congress of 1980. While previous events in the 1960s and 1970s had sought to maintain the notion of Socialist progression and development, the connection between central planning and goal setting and economic and social success, 1980s Congress sought to abandon much of that very deterministic developmental framework. 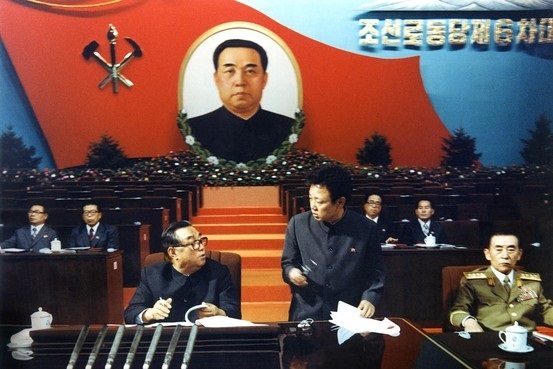 Whereas forestry, agriculture, mining or coastal reclamation had previously been set enormously ambitious, dramatic, charismatic production and development goals (the 1970s were the era of the 300,000 hectares of reclamation for example), the Sixth Party Congress dispensed with specific goals, which had both never been reached by North Korea’s institutions and in attempting and failing to do so had seriously disrupted economic and infrastructural production, for looser, more aspirational targets. Five Great Nature Remaking Tasks and their attendant complicated goals, became the Four Tasks for Remaking Nature. The output of the era of the Sixth Congress of course was not entirely without success, the Nampo Lockgate and some of the sporting and stadium infrastructure of Pyongyang exist to attest to that, but it was the end of North Korea’s most aspirational period so far as its developmental potential was concerned, and in a sense veiled acknowledgement of the impossibility of a number of its past ambitions. Less ambitious, dramatic or charismatic in developmental terms, perhaps by necessity as much as design, 2016’s New Years’ Address appears for agriculture, environment and non-industrial or military infrastructure a call to carry on with the general, the non-specific, with what works. Perhaps the impending Seventh Party Congress and its reconsideration and reconfiguration of political, economic, social and ideological agendas demands a moment of pause, a breath in North Korea’s developmental echo chamber. Perhaps history and the Sixth Party Congress will be our guide. 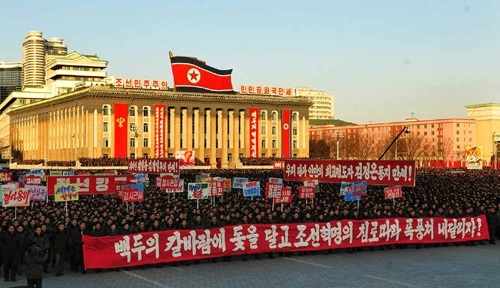 Perhaps, as on the 6th of January, Pyongyang will surprise or wrong foot as all again, but in developmental terms, so far as the New Years’ Address is concerned, developmental agendas will be more about past practice and carrying on, than the shock of the new.